Tahoe features a 5.3L V8 engine that offers impressive capability along with a best-in-class V8 fuel economy of 22 MPG highway. Combined with the available Max Trailering Package, Tahoe offers a maximum towing capability of up to 8,600 lbs. — plenty of power to tow boats, ATVs and whatever else you want to bring along on your next trip. Includes automatic exterior lamp control. 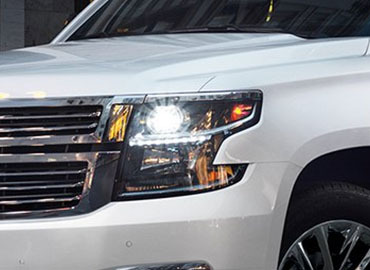 Tahoe offers up to seven USB ports, a 110-volt three-prong outlet, an available 4G LTE Wi-Fi® connection and a wireless charging station, available on Premier. It’s everything you need to keep devices charged and connected on the go.